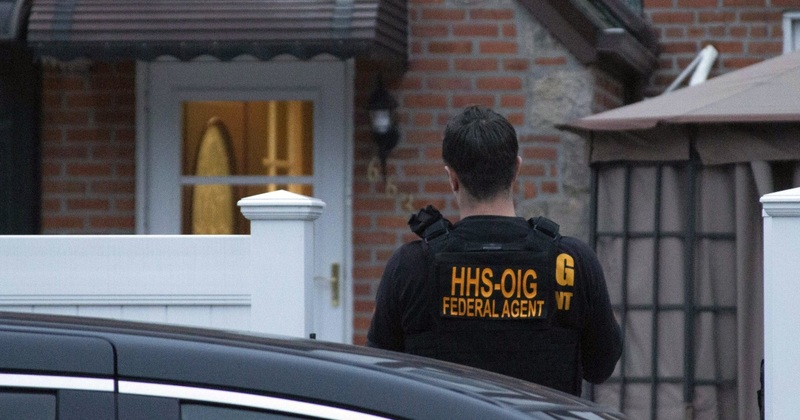 Two dozen people, including doctors and owners of medical equipment companies, were charged in a more than $1 billion Medicare fraud scam, authorities said Tuesday. Investigators uncovered a sprawling plot that targeted elderly and disabled people by setting them up with back, neck and knee braces that they didn’t need, according to federal prosecutors. Called Operation Brace Yourself, the investigation discovered that medical brace manufacturers were allegedly paying illegal kickbacks and bribes to doctors working with fraudulent telemedicine companies in exchange for Medicare patient referrals for medically unnecessary braces. As part of the scheme, doctors were paid to prescribe braces to patients they had little to no relationship with. Prescriptions frequently came after doctors had a brief conversations via phone or video conference with patients they had never met, prosecutors said. As a result, the personal information of hundreds of thousands of Medicare beneficiaries across the country was compromised and could be used in future schemes, prosecutors said. An even larger number of patients received unwanted braces in their homes. The unwanted products could disqualify them from receiving a brace under Medicare if they need one in the future, prosecutors said. The sprawling investigation was carried out by the FBI, the IRS, and 17 U.S. attorney’s offices. Charges were brought against defendants in states including New Jersey, California, Texas and Florida. “These defendants — who range from corporate executives to medical professionals — allegedly participated in an expansive and sophisticated fraud to exploit telemedicine technology meant for patients otherwise unable to access health care,” Assistant Attorney General Brian Benczkowski of the Justice Department’s Criminal Division said.